MEMPHIS, TN – The word “soul” has powerful resonance – musically, culturally and spiritually – and no contemporary band embodies the power of soul more than the Bo-Keys. That message has been trumpeted by the Bo-Keys’ remarkable series of Blues Music Award-nominated recordings produced by Bomar. These began with 2004’s The Royal Sessions, which was made at Memphis’ Royal Studios, where producer Willie Mitchell and Al Green cut their soul and pop hits. 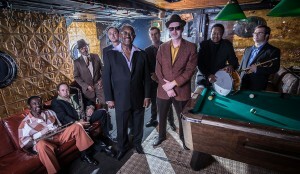 And they include 2011’s Got To Get Back, featuring guest vocalists Otis Clay and William Bell, Bo Keys singer Percy Wiggins and Grammy winning blues harmonica kingpin Charlie Musselwhite. The Bo-Keys’ singles include 2009’s “Work That Skirt” plus a rich string-arrangement of the James Carr classic “Dark End of the Street” sung by soul and gospel vocal legends Spencer and Percy Wiggins. They were collectively released as The Electrophonic Singles, Vol. 1 in 2014. That year the band also supported neo-soul singer John Nemeth on his album Memphis Grease and on tour. Memphis Grease has received two 2015 Blues Music Award nominations and the Bo-Keys are nominated once again this year for best band. Bomar and his group are currently at work on a new studio album that explores the intersections of country, folk and soul music, with interpretations of songs by Hank Williams, Merle Haggard, Bob Dylan and Ray Price. It is planned for release later this year. 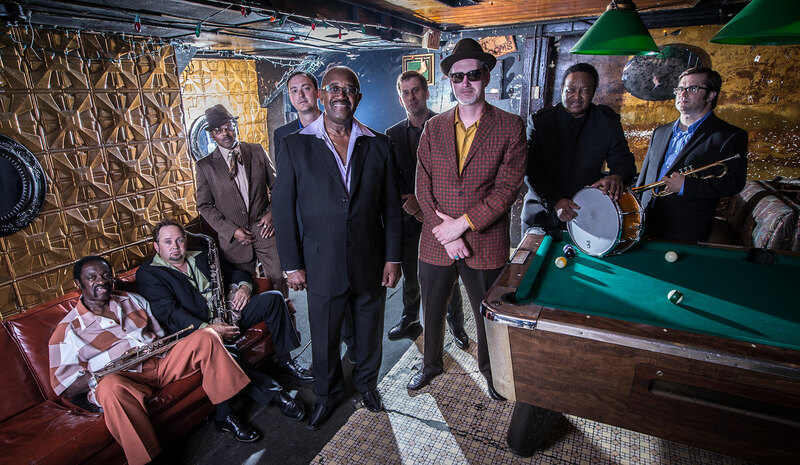 The Bo-Keys’ multi-generational cast of players – some in their eighth decade – bring a high level of virtuosity developed cutting literally hundreds of hits during the ‘60s and ’70s to those recordings. Or, in the case of younger members like Bomar, hundreds of hours digesting those records. But onstage, they embody the lively spirit of Memphis soul, digging in hard to deliver the deep grooves and wealth of emotions at the style’s core as they take the music around the world, making such prestigious stops as California’s Doheny Blues Festival, the Waterfront Blues Festival in Portland, Oregon, and Italy’s Poretta Soul Festival. The Bo-Keys have also supported the fabled soul singers Rufus and Carla Thomas, William Bell, Otis Clay, Sam Moore, Eddie Floyd and Syl Johnson in concert. The band appeared in the 2008 movie Soul Men, with Samuel L. Jackson and Bernie Mac, and played on three Bomar-produced songs for the soundtrack. Those included Anthony Hamilton’s performance of the classic “Soul Music,” which was nominated for a Grammy for Best Traditional R&B Performance. Also, the Bo-Keys single “I’m Still In Need” was used in the 2013 De Niro/Stallone comedy Grudge Match. Skip Pitts, a funk-soul innovator whose numerous credits include cutting the wah-wah guitar introduction to “Theme From Shaft,” was Bomar’s partner in founding the Bo-Keys along with trumpeter Marc Franklin. Franklin cut his teeth touring with Bobby “Blue” Bland before becoming a first-call R&B session player, and today tours with Gregg Allman. Joe Restivo replaced Pitts after his death in 2012. Restivo also plies his exceptional soul and jazz guitar vocabulary as leader of the all-instrumental band the City Champs. The Bo-Keys’ remaining elder statesmen include drummer Howard Grimes, who drove Stax and Hi Records hits for Ann Peebles, Al Green and others. Organist Archie “Hubby” Turner was also part of the Hi Rhythm Section, playing on historic sessions for Green, Peebles, O.V. Wright and more. Trumpeter Ben Cauley was a charter member of the Bar Kays. That band cut the smash “Soul Finger” for Stax and toured behind Otis Redding. Cauley was the sole survivor of the plane crash that claimed Redding and his bandmates. He continued to record at Stax with Isaac Hayes and the Staples Singers. And vocalist Percy Wiggins has a long and storied history in gospel and soul music. He began performing at age 13 with his brother Spencer and sister Maxine in the New Rival Gospel Singers, and went on to cut sides in the ‘60s for the RCA and Atco labels with a band that included a pre-fame Jimi Hendrix. The Bo-Keys horn section includes relative youngsters Kirk Smothers and Art Edmaiston on saxes, plus Franklin on trumpet. Edmaiston is also a member of Gregg Allman’s band. Scott Bomar has a distinguished resume aside from the Bo-Keys. His first group, the all-instrumental Impala, had an atmospheric sound that blended surf music with Sun Records informed rock. Impala became a favorite with film and TV music supervisors, leading to soundtrack work for Bomar. He composed the scores for the acclaimed Craig Brewer films Hustle & Flow and Black Snake Moan, which allowed Bomar to explore his more modernist regional interests in hip-hop and in electric blues from the nearby Mississippi hills. Bomar’s score for the Civil Rights-era documentary I Am a Man: From Memphis, A Lesson in Life won an Emmy Award. He also produced Cyndi Lauper’s Grammy nominated 2010 album Memphis Blues and was assistant engineer for Al Green’s Grammy nominated I Can’t Stop in 2003 and Green’s Everything’s Okay in 2005. He recently scored the film Mississippi Grind, which debuted at the 2015 Sundance Film Festival and stars Ryan Reynolds and Sienna Miller.